Here are the best-to-worst weapons in the game. Respawn Entertainment’s Apex Legends is the latest addition to the popular battle royale genre, offering eight distinct classes in a universe shared by first person shooter Titanfall. It doesn’t look like just another blip on the battle royale radar, too. Apex Legends, released last Monday on PlayStation 4, Xbox One, and PC, has come out of the gates swinging, surpassing 10 million players in just three days. 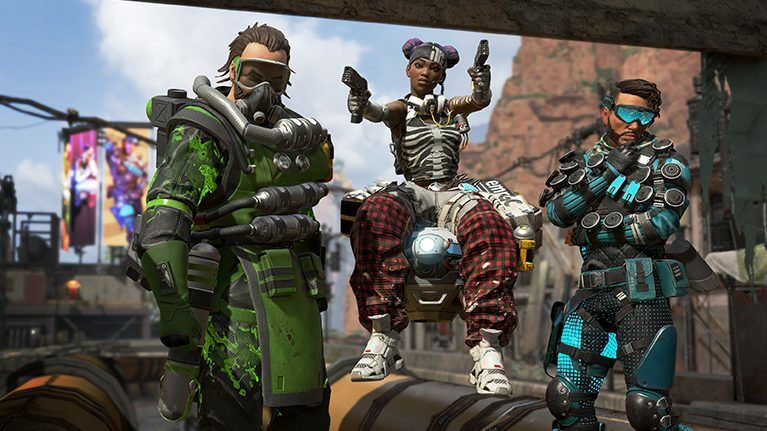 Apex Legends is a team-oriented game, and each class has its own interaction and unique synergy. Unlike Fortnite or PUBG, the class you take plays an important role in winning the game—however, your weapon and gear is still vital. It’s always important to have some idea of what weapons to choose or leave behind when you’re in the middle of an action-packed game. We’re still in the early days for this game, and there’s undoubtedly upcoming patches planned for the near future, but here’s a look at the current best-to-worst weapons in the game. If you get your hands on either of these bad boys, expect bodies to drop to the floor. The Kraber can knock an enemy out in a single shot, even if they have full health and shields—it’s deadly. With the combination of its huge range, its 125 damage to the body, and its 250 damage to the head, you’ll easily cut through enemy squads. 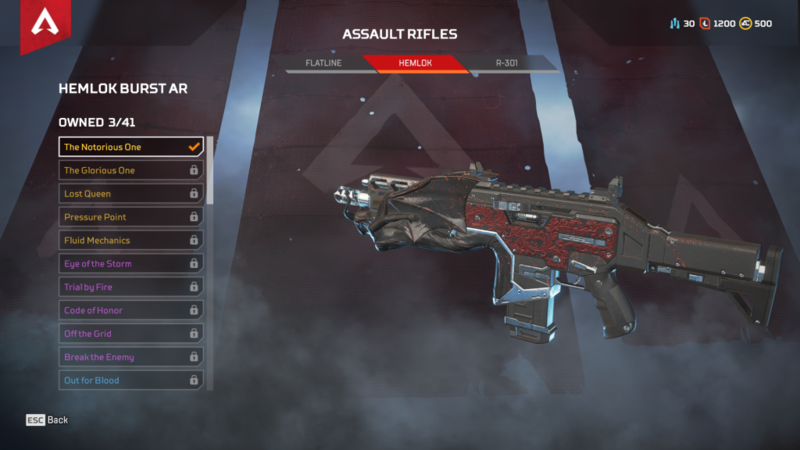 The Mastiff is another weapon that’s difficult to come by, due to its legendary status—but if you’re lucky, you’ll be in for a treat. It’s a semi-automatic shotgun that works best at close range, but it does have medium range capabilities. Like the Kraber, the Mastiff packs a punch, dealing 144 damage to the body and 288 damage to the head. Be sure to take advantage of close corners and corridors to fully make the most of this instrument of death. All of these weapons have their uses and can be powerful in the right hands. Most of the weapons are relatively high damage based and are versatile for gunfights at multiple ranges. The two sniper rifles, Triple Take and G7 Scout, are particularly well-rounded, with their strength being long-range engagements. The Triple Take is the most unique sniper in the game, firing off three projectiles, each dealing sizable damage. It can be used to pick off a target from across the map with ease. G7 Scout is much weaker in damage, but it has a larger clip. If you don’t have the best aim, the Scout may be more suited to your style, allowing you to fire off consecutive shots. You might miss one shot, but the chances of missing 10 are slim. The Peacekeeper shotgun is often a wise choice in battle. It’s a lever-action weapon that deals 110 damage to the body and 165 to the head, with a six-round clip. It can be used to surprise an enemy squad, quickly taking them out from behind, accompanied by your teammates’ long-range fire. The Spitfire isn’t the quickest light machine gun, and it does have quite a long reload time, but it’s fairly accurate and it deals sizable damage at range, combined with its large clip. If you position yourself on the outskirts of a skirmish between two or more squads, and you have the Spitfire ready and waiting, expect to cause havoc. The R-301 Carbine is technically the weakest of the three assault rifles, but it’s fully automatic and has quite a large magazine, allowing you to spray down your enemies in a close-quarters engagement. It’s accurate, and unlike the Hemlock, it’s reliable when you’re caught out and thrown into an unexpected skirmish. The Wingman is the best sidearm in the game. The single-shot pistol uses heavy ammo and deals huge damage. If you have the aim to use it, you’ll be able to easily pick off enemies with its 90 headshot damage. 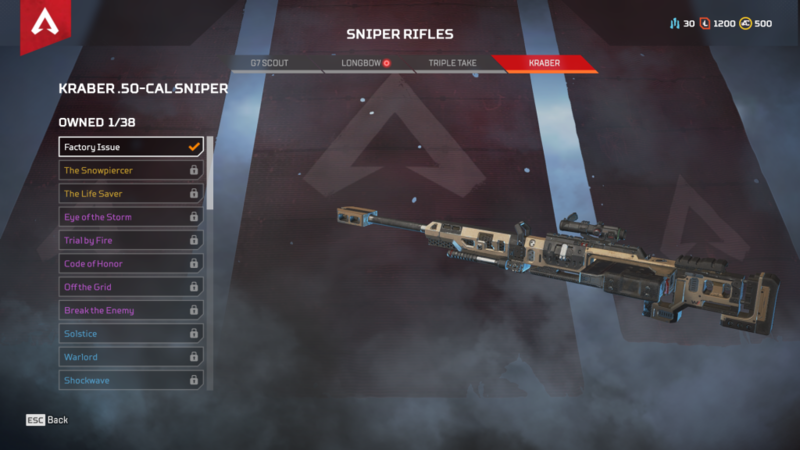 The Longbow is another good sniper. It’s similar to the G7 Scout, but it’s much less noob-friendly. It deals good damage, has long-range capabilities, and it’s semi-automatic, but with a smaller magazine capacity of five. It’s difficult to place the three assault rifles in this game. They’re all good in their own respect, but each have different styles and approaches to the metagame. The Hemlok potentially deals the most damage of the three, but it’s a burst weapon, shooting out three bullets at once. It can be extremely effective, especially at range. It’s not the best weapon in a close-quarters scenario, though. You may have to draw your sidearm, since the Hemlok can be very awkward if you’re face-to-face with an enemy. It will be difficult to hit your shots and you’ll soon be downed, not being able to take advantage of the weapon’s full damage. The Flatline is another good rifle. In fact, all of the rifles are good, but this time, it suits medium-range fights. It’s somewhere between the capability of the Hemlok and the R-301. It really depends on your playstyle which assault rifle you’ll prefer. Its damage and ammo capacity are similar to the R-301, dealing sizable damage to enemies. The R-99 submachine gun can be good, but sometimes it requires a lot of luck and precision. It deals decent damage, but its clip is relatively small. You’ll have to hit every bullet to take out an enemy. You obviously have the option to reload, but it’s not the most reliable gun, especially in three-vs-three scenarios. You’ll often be picked off after you finish your first clip, if you don’t have appropriate cover. The Devolution light machine gun can be extremely strong. It does have a very slow starting time, and it may be awkward in a close-quarters situation. But if you can get it revved up and ready to go, it deals tremendous damage at a fast rate of fire. While these weapons are at the bottom of the pack, it doesn’t mean they’re useless. They can still be used well, but they’ll most likely lose out to some of the weapons higher up on the list. The damage of the EVA-8 Auto is the lowest of the shotguns, but that doesn’t mean it’s necessarily bad. It has a decent-sized magazine and has the ability to quickly shoot a few shots in quick succession. If you happen to come face-to-face with another player or squad, the EVA-8 Auto can be deadly. The Mozambique is a bit of a strange shotgun—it’s basically a pistol and a shotgun fused into one. It only has a three bullet magazine and its damage is fairly lackluster. You’ll have to get up close and personal with an enemy to deal lethal damage. 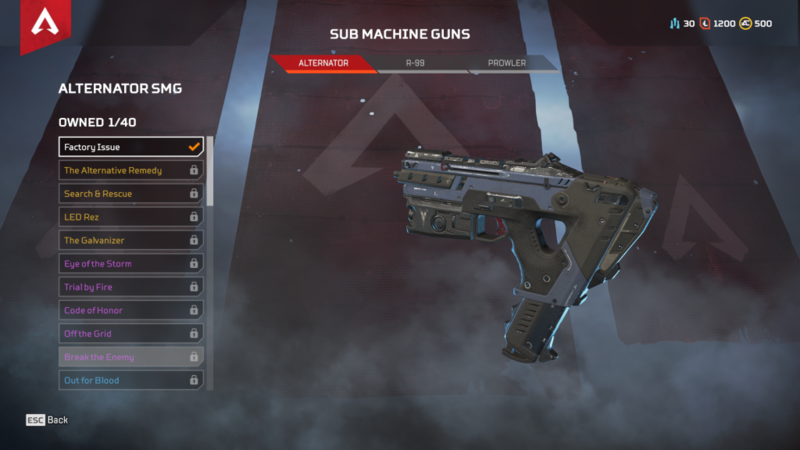 The Alternator submachine gun is another weapon that’s effective in a close-quarters situation—but it’s not the best gun at medium or long range. It doesn’t have much of a magazine and its recoil isn’t very stable. 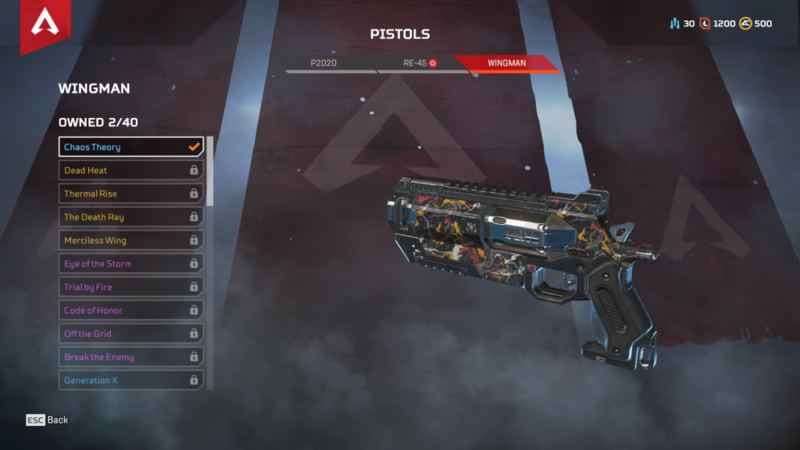 It’s pretty much the traditional spray-and-pray gun in Apex Legends. Prowler is a decent gun overall. With its long-range capability, combined with its 20-round magazine and its rapid fire, it’s a very well-rounded gun. But it doesn’t have the most damage, dealing 14 damage per bullet to the body, and 21 damage to the head. You’ll have to hit all of your bullets to secure a kill. P2020 is the average pistol. It has a 10-round magazine and it deals fairly low damage. The gun can be a decent secondary weapon in some cases, but it will often be used only in the early stages of the game. Similar to the P2020, the RE-45 pistol isn’t groundbreaking. It’s another gun that could be useful in the opening stages of the game, allowing you to get an early kill before you find a better weapon. Its magazine is slightly larger than the P2020 and it’s fully automatic, however, allowing you to spray down your target. Even so, it’s no Wingman.